Ontario Wind Action is a collector site for examples of the fight in action, capturing important milestones in the fight against industrial wind, providing reference materials that may be useful. 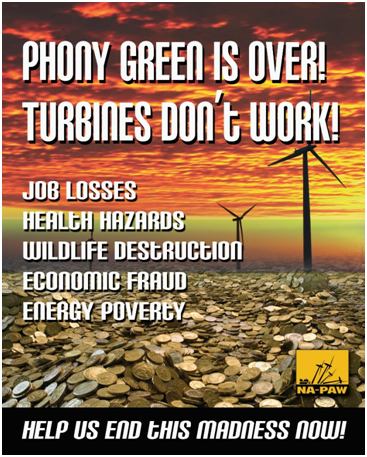 We as a group, collection of individuals and groups herein issue notice that the people of Ontario demand an end to the wind fraud that is being perpetuated: industrial wind does not work, is not green, clean, free or safe. We will refer you to other news gathering sources as well as coordinating a few Ontario efforts. It is by no means comprehensive, but rather offers a snapshot of world and Ontario efforts, as well as some glimpses of CHANGE. Many world events are happening daily to expose the fraud of industrial wind. These events can be used in YOUR FIGHT. Knowledge is power. While other countries are examining the pitfalls, clawing back subsidies (wind and solar, in instances), calling for substantial changes to transparency and accountability, calling for measurements of ILFN, generally attempting to recover lost time and protect people, communities, Ontario continues its senseless and shameful PROLIFERATION of industrial wind. Please read the powerful Australian Senate Select Committee’s recommendations on industrial wind. Please see the additional testimony of AU Senators Madigan and Leyonjhelm. Please note the TOOLBOX section if you are facing a possible project! “The battles being waged have a common enemy, but the tactics and strategies employed are diverse – and, unfortunately, in some cases play into the hands of wind power outfits, their advocates and apologists. 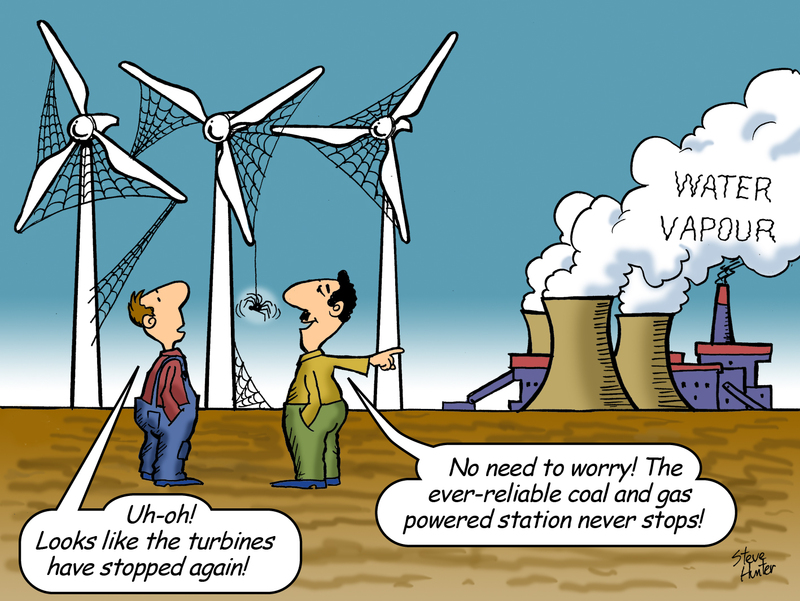 Apart from the very few farmers that stand to profit by hosting turbines, rural communities have woken up to the fact that wind power – which can only ever be delivered at crazy, random intervals – is meaningless as a power source because it cannot and will never replace on-demand sources, such as hydro, gas and coal. And, as a consequence, that wind power cannot and will never reduce CO2 emissions in the electricity sector. The wind industry has never produced a shred of actual evidence to show it has; and the evidence that has been gathered shows intermittent wind power causing CO2 emissions to increase, not decrease (see our post hereand this European paper here; this Irish paper here; this English paper here; and this Dutch study here). It is our view that there is no one solution to fighting an industrial wind project. There is power in liaising, and in cooperating. Make use of the sites provided. The “win” will be won on many fronts: the harm to human health, damage to entire economies due to debilitating, and criminal subsidies, and of course the accruing evidence of massive harm to the environment. Ironic, isn’t it? That everything this industry has espoused, is false. In fact, everything this industry continues to “mouth,” is false advertising, and resulting in environmental setbacks that will take hundreds of years to recover. Please send us other photos or materials that you wish to have included.